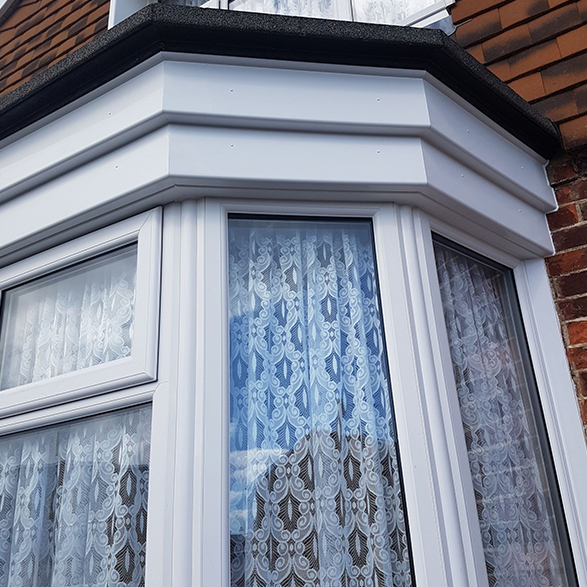 All of our Roofline Products are adaptable, we will ensure that every detail from the colour to the design are thought out precisely to coordinate with your home. 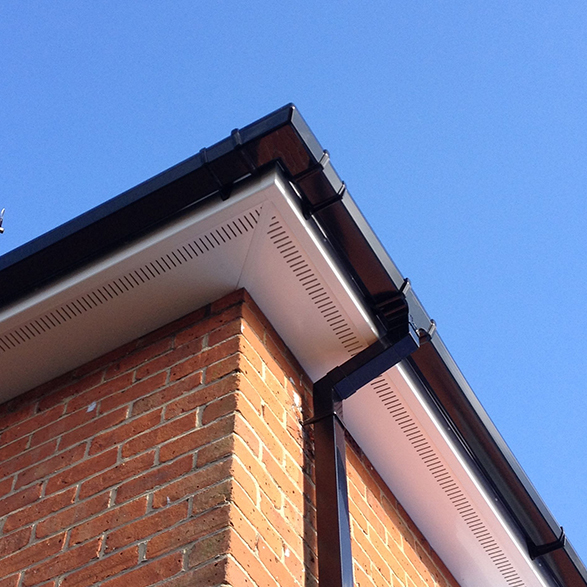 Fascias are low maintenance and long lasting, they will stay looking great for years to come. Available in varying widths as a standard flat, or more sculpted style, facias can be fitted with all types of soffit, allowing further choice for your roofline products. 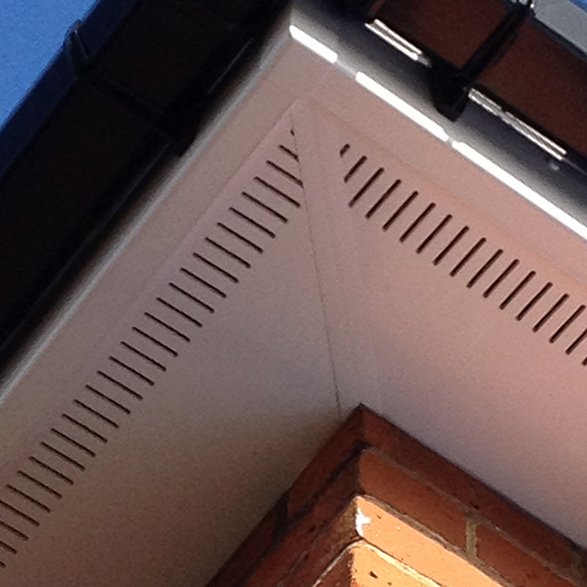 Soffit boards can be fitted with facias to provide a low maintenance and neat finish to your properties exterior. They will enhance any building and are available in a multitude of styles and colours to match alongside our other roofline materials. Cladding is perfect for renovating, modernising and neatening the existing exterior of all properties. Currently this is extremely in vogue and very popular for new build premises and static homes. It Is available in different finishes and colours and is impact resistant and durable. The Gutters attach to the Fascia board and collect the flow of rain water, they ensure positive drainage of your roof via the down pipe, this will ensure that the rainwater will not penetrate your foundation or basement. They can also massively improve the facade of your home. 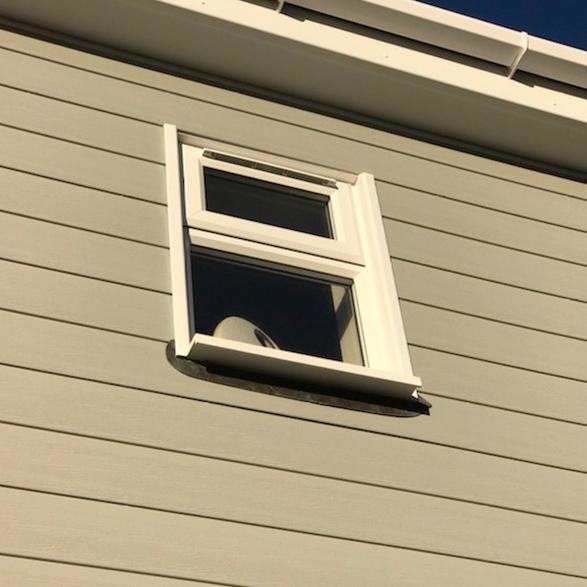 Cladding is attached to the front of your home, office or garden room and will provide an additional barrier to the elements, this is perfect for high exposure areas & excellent for providing an uplift to old properties where the render is failing or perhaps had been previously tiled.